Glass annexes and conservatories are still very much the trend. However, the great challenge here lies in main­taining the perfect temperature and lighting. While the winter rays of sunshine can be enjoyed behind glass, they quickly become unbearable for inhabitants and plants in spring. To prevent your glass oasis becoming a greenhouse, STOBAG offers tailored conservatory awnings for the roof as well as the vertical areas. An electric drive, integrated as standard, offers operating comfort and, thanks to the optional automatic sun/wind protection, your conservatory is cooled automatically when outside temperatures start to increase. 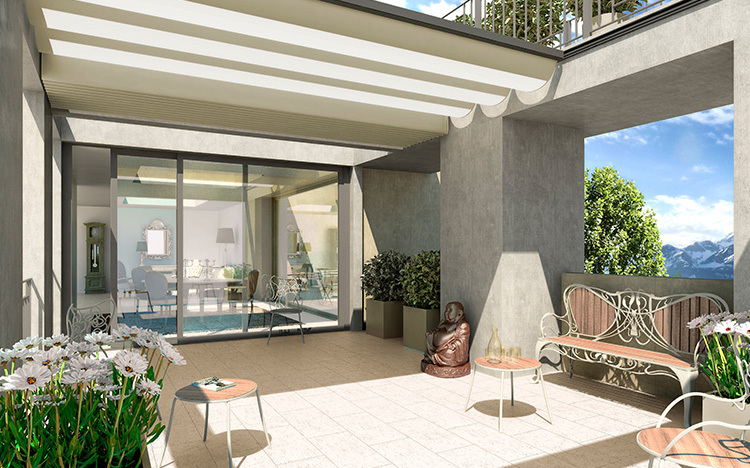 Specially-suited for installing between buildings and on existing structures, the roof and skylight shading effectively protects against sun and rain. The sun’s rays can heat up conservatories to over 60°C – too much for humans, animals and plants. In order that the temperatures behind the glass surfaces remain comfortable in .. The refi ned solution when it comes to horizontal covers between buildings or existing structures. 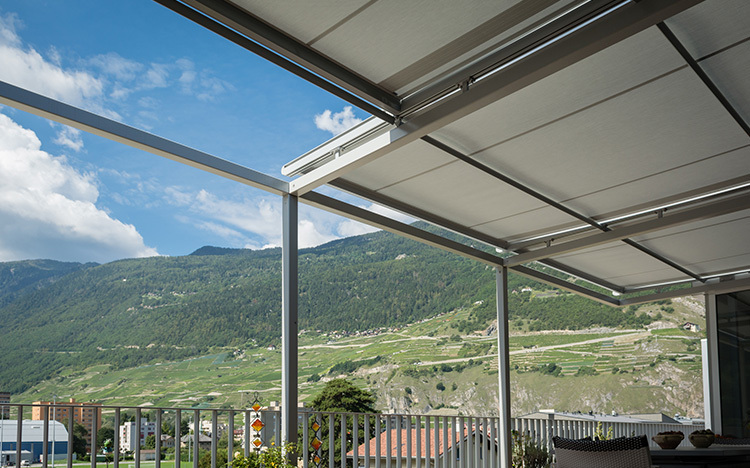 The ASTANO roof range optimally protects against sun and rain and is optionally ..